The other day while reading the front page of lds.org I came upon an interesting article. On the sidebar the Church asked the question; “Are Mormons Christian?” and of course this caught my immediate attention! Every Christian ministry for Mormons has explored this topic, LAM included, but we believe it’s important to keep abreast with the Church’s newest tactics so we’re taking a look at their latest explanation of why they believe they’re Christians. As always I’m taking it line by line and giving a biblical response to their article – my response will be in red. And for the record, I choose to answer in red because it’s a personal reminder to me that Jesus’ blood is the reason I am saved! It’s true the Church does say they worship God in the name of Jesus, but the issue is which Jesus and which God are you referring to? 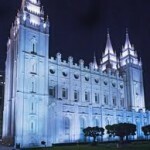 Clearly, the God and Jesus of Mormonism are not the God and Jesus of Christianity! 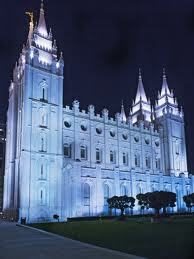 Jesus in Mormonism is a created son who came into existence through a sexual union of an exalted man who became a god and one of his goddess wives – Journal of Discourses 1:51, Brigham Young. The fact is that Mormons don’t accept what the apostles attested to in the Bible because they don’t believe the Bible has been translated correctly (See Article of Faith 8). Because of Smith’s disregard and mistrust for the word of God he took the liberty to rewrite it, thus their use of the JST (Joseph Smith Translation). See our article Why Joseph Smith Hated the Word of God for more info. Thirdly, there isn’t one single verse in the Bible that says Jesus’ path leads to happiness in this life! Yes, Jesus told people to take His yoke upon themselves for it is light – Matthew 11:28-30, but this refers to the Holy Spirit who will supernaturally bring us comfort during difficult times and our lives reflecting a change in us – Galatians 5:22-23. The authors of the New Testament certainly didn’t paint a picture of total happiness in this life when we become Christians! They spoke of persecution and hardships that would ensue because of that lifestyle, but they did say following the Lord will ensure us of peace because God takes up residence inside the believer. Actually it’s been a lot longer than “in recent decades”. The controversy has been around since Smith claimed the entire body of Christ is the whore of Babylon in 1830. 1 Nephi 14:10. This is true and it’s true they don’t adhere to any of the confessions of faith by early church fathers. “Latter-day Saints do not believe scripture consists of the Holy Bible alone but have an expanded canon of scripture that includes the Book of Mormon, the Doctrine and Covenants, and the Pearl of Great Price. And therein lies the rub as they say. The Bible clearly announces on several occasions we’re not to accept any other gospel or doctrine outside of the apostles’ teachings. Galatians 1:6-9. 1.The scholars they’re referencing are Roger Olsen “Twenty Years of Christian Theology” which comes from a strict Arminian viewpoint; D. Jeffrey Bingham The Routledge Companion to Early Christian Thought; and Daniel Graham and James Siebach “The Introduction of Philosophy into Early Christianity”. The latter resource of “scholars” is written by Mormons. 2. The creeds of Christianity defined the faith of Christianity. The Apostle’s Creed was written sometime between the first and second century (some say the 4th or 5th century), the Nicene Creed from 325 AD and modified in 381 AD, the Athanasian Creed from the 4th century, and also the Reformation Creeds or the Confessions of Luther from the 16th century. These were written not only to define the faith, but to warn the body of Christ of heretical teachers who were trying to creep in just as they did in Paul’s day. Some like Arius believed Jesus was subordinate to the Father and it caused such uproar throughout Christianity the emperor Constatine got involved. 3. Apostolic authority wasn’t lost. Christianity has held firm to the authority of the apostle’s writings. When they died the office of apostle was no longer in existence, but their authority still held just as it does today. 4. Early Christianity didn’t abandon the doctrine of a personal God who interacts with His creation. Then and now they’ve held firmly to the belief God is omnipotent, omniscient and omnipresent with each believer. As mentioned above Christianity didn’t meld with Greek philosophy at all! The creeds being a confession of faith outline and uphold the nature of the Godhead, or in Christian terms, the Trinity. Which by the way the LDS Church completely rejects and they are the guilty party of introducing Greek idioms and thought into the church. False teachers like Arius, Marcion, followers of Montanism and Gnosticism are the thorn in the church’s side which have all been repackaged in today’s era as New Age, Paganism, Mormonism, Masonry, et al. These and other philosophies deny Jesus as God incarnate and deny the Holy Spirit as God. No true Christian then or now adopts this ideology. Truth: Mormons do not believe God is omnipotent or omniscient. Truth: Most converts to Mormonism who come from Christian denominations have no idea what they’ve gotten themselves into. Some may realize their mistake within a year while others won’t ever realize they’ve been tricked into believing their lies. The early Christian church has never believed man lost the authority to act in God’s name. The early Christian church never believed in “a ministering of angels” to bring back the priesthood. The early Christian church has always accepted and believed Jesus took the priesthood with Him into heaven as it was non-transferrable. Christ served as the last sacrifice needed for the salvation of mankind. Hebrews chapters 7, 9 and 10. Most converts haven’t read their Bibles enough to know the difference between “creedal Christianity” and a false Christianity. The reasons for this differ for each convert. In short, the body of Christ does get along quite well albeit there are distinct differences, but these differences don’t contradict with the creeds mentioned above. Hold on a minute here! They just got done telling us the doctrines of early Christianity are what they believe. How can they hold to the operations of early Christianity and reject it at the same time? Everyone in this world past, present and future is free to worship anyone or anything they’d like. Christians don’t deny anyone this. The truth is that you can call the pile of rocks in your backyard by the name of Jesus all you want, but it doesn’t make it any truer than me saying my Rottweiler is a cat. While the Mormon Church will tell you that John’s words are meant solely for the book of Revelation one must take into account what this is. God has spoken to us through His Son – Hebrews 1:1-2 – in these latter days. And then we have Jesus affirming to us that His words will never pass away in Matthew 24:35 so how could this statement only be referring to the book of Revelation? It can’t! This is in reference to everything God has taught us from Genesis to the end of Revelation. We don’t have the authority to change or take away anything He’s revealed to us in His word. The truth is that all Christian churches are absolutely certain about a closed canon and are absolutely committed to that belief. The body of Christ didn’t go out looking to pick on Joseph Smith or exclude him from Christianity. Rather, Smith came out of the gates swinging and hurling accusations at the body of Christ, referring to them as the “whore of Babylon”. Here are two other examples from the hundreds we have on file of the Mormon Church slamming Christianity. “Roman Catholics, for example, turn to church tradition and the magisterium (meaning teachers, including popes and councils) for answers. Protestants, particularly evangelicals, turn to linguists and scripture scholars for their answers, as well as to post–New Testament church councils and creeds. For many Christians, these councils and creeds are every bit as canonical as the Bible itself. To establish doctrine and to understand the biblical text, Latter-day Saints turn to living prophets and to additional books of scripture—the Book of Mormon, Doctrine and Covenants, and Pearl of Great Price. 1. As a Christian I can say that I do use dictionaries and lexicons, I do use books written by scholars and theologians and I do trust the interpretation of my personal friends who speak fluent Hebrew or Greek or Aramaic. However, those tools are not canonical because they’re not inspired. 2. The BoM cannot prove the Bible is true. Archaeology digs can’t prove the Bible is true. Outside books and evidences of events from the past can help us confirm what took place in the Bible but they don’t prove the truthfulness of God’s word. 3. The BoM contains stories about Jesus that have been plagiarized from the Bible. It offers no new information on Christ so it can’t in reality be “another testament” if it’s already a published testament. 4. The BoM portrays prophets from the BC era who proclaimed the name of Jesus. The BoM speaks of millions of people who believed Jesus who eventually left the faith or were killed off by opposing tribes of people who aren’t documented outside the confines of the BoM. 5. The BoM carries a Trinitarian theme which is strictly denounced by LDS leaders. The Doctrine and Covenants is a collection of Joseph Smith’s prophecies declaring a new form of worshiping God that doesn’t reflect the doctrines of the Bible. The Pearl of Great Price is a collection of writings from Egyptian papyri Smith supposedly translated depicting foreign gods usually sexual in nature. The Bible isn’t trusted by the Church so Joseph rewrote it and made prophecies about him. Converts across the world continue to join The Church of Jesus Christ of Latter-day Saints in part because of its doctrinal and spiritual distinctiveness. That distinctiveness flows from the knowledge restored to this earth, together with the power of the Holy Ghost present in the Church because of restored priesthood authority, keys, ordinances, and the fulness of the gospel of Jesus Christ. The fruits of the restored gospel are evident in the lives of its faithful members. People will continue to join Mormonism and many other “isms” as long as there’s life on earth. The Bible warns us to watch out for false Christs and tells us that many will be tricked into believing a lie – Romans 1:20-25. For those of us who are Christians the number of people who continue to join Mormonism is disheartening because we know the truth. The bloated number of followers the Church claims they have doesn’t have an effect on truth. Justin Bieber has over 49m followers – does he carry truth? Jesus gave us a very good reason to call out the lies of those who trick people. He said “I am the way, the truth and the life” – John 14:6, there will be false Christs Matthew 24:23-25, a divided kingdom cannot stand – Mark 3:24-25. We aren’t “ostracizing” Mormonism; they’ve done this to themselves. We’re publicly begging the Mormon people to come out from the shadows of lies and denounce the teachings of Joseph Smith. Believe in Jesus and you will be saved just as He told Nicodemus in John 3:3. From all this we feel it’s abundantly clear the Mormon Church is NOT a Christian church, regardless of what they claim or how loud they bemoan their exclusion – they’ve rejected Christ Jesus and Him crucified.